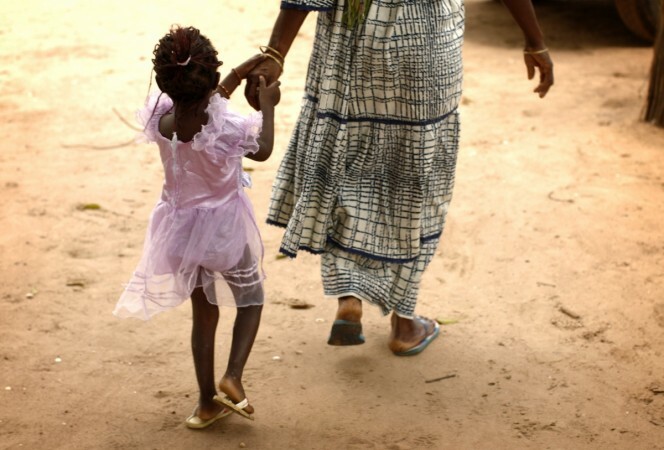 The United Nations Children's Fund has called to eliminate female genital mutilation by 2030. At least 200 million girls and women living across 30 countries underwent female genital mutilation (FGM), and half of them are from Egypt, Ethiopia and Indonesia, the United Nations Children's Fund, or Unicef, has said. Unicef published a new statistical report on the prevalence of the practice across 30 nations on Friday, a day before International Day of Zero Tolerance for Female Genital Mutilation. The report suggested 44 million of the 200 million to have undergone FGM are below the age of 14. Gambia, Mauritania and Indonesia are countries where the practice is highly prevalent among girls aged below 14. At least half of the girls in these countries underwent FGM when they were 11 years old or younger, a Unicef release read. It also suggested majority of the girls in several countries were cut before they reached their fifth birthdays. Somalia, Guinea and Djibouti top the list of nations where FGM is highly prevalent in the age group of 15 to 49 years, with a statistical report suggesting the rate at 98, 97 and 93 percent, respectively. Of the 30 countries, majority were recorded to have high prevalence rate of FGM, but there were a few where Unicef noticed a decline in the practice among girls aged 15 to 19. These are Burkina Faso, Egypt, Kenya, Liberia and Togo. Although 15,000 communities and sub-districts in 20 countries declared they were renouncing FMG, and five nations â€” Kenya, Uganda, Guinea-Bissau, Nigeria and Gambia â€” criminalised the practice, the overall rate of "progress is insufficient to keep up with population growth". "If trends continue, the number of girls and women undergoing FMG will rise significantly over the next 15 years," said Unicef. "Female genital mutilation differs across regions and cultures, with some forms involving life-threatening health risks. In every case, FGM violates the rights of girls and women. We must all accelerate efforts â€” governments, health professionals, community leaders, parents and families â€” to eliminate the practice," Unicef Deputy Executive Director Geeta Rao Gupta said. In a statement on the 2016 International Day of Zero Tolerance for FGM, released a day before it, Executive Directors of United Nations Population Fund (UNFPA) Dr Babatunde Osotimehin and Unicef Anthony Lake called for elimination of FGM by 2030. They said FGM is "discrimination" and a global concern. "It is a global problem that goes well beyond Africa and the Middle East â€” where the practice has been most prevalent â€” affecting communities in Asia, Australia, Europe, North and South America," the statement said. "FGM must end. In September (2015) at the United Nations Sustainable Development Summit, 193 nations unanimously agreed to a new global target of eliminating FGM by 2030. This recognition that FGM is a global concern is a critical milestone," it added.